Marantz brings to you a high end technologically advanced network AV receiver. The model number of this AV receiver is Marantz NR1604. What you can expect from a receiver by Marantz is amazing audio video streaming quality, great channel power and huge compatibility. If you are looking for all of these qualities in this model, then you will not be disappointed. Marantz has compiled all the technical features that makes a great receiver and has also managed to keep the price reasonable so that it gets better market value. What is great about this brand is that its products are not only technologically advanced but also great in the design and physical appearance. This model also keeps up with the same tradition. What are the physical features of this receiver by Marantz? This model of AV network receiver by Marantz belongs to its slim line series. Just as the name suggests it is a sleek and slim series that has compact models. They are designed to make sure that they fit in any room and any cabinet. You could keep this receiver in your book shelf as well. The design has been made with a huge range of customer base in mind. The look of Marantz NR1604 is one of a stylish slim profile, black body and small foot print. The physical dimensions of the receiver would be 17.3×14.4×4.1 inches and it weights around 18.5 pounds. This receiver comes with a remote control. Since Marantz has thought about a wide range of customers while designing the product they have made the installation very easy as well. The receiver comes with an onscreen set up assistance that makes the entire process of installing the AV receiver very easy and simple. This could be one of the reasons why customers will love this product because there are still certain receivers in the market that come with a manual instruction book. That gets a little difficult to set up which is not the case with this receiver. What are the technical features of the receiver? • At first you will enjoy the multi zone feature of this receiver. This will enable you to stream different contents in different zones of the house. With this feature you will be able to send different audio signals simultaneously to different rooms in your home. This makes it a multi tasking receiver which will cater for the different music choices of different members of the house at the same point of time. • The AV receiver by Marantz will give you a complete surround sound system. You can have four surround sound speakers along with the 7.1 channel receiver. There are right, left and center power for speakers in the receiver. You will be able to control all the speakers and customize the sound system according to your need. 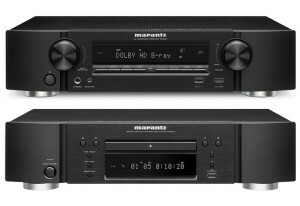 Marantz NR1604 is the ideal receiver for complete home entertainment and in-house parties. • You could play audio and video files from a variety of sources. The receiver has AirPlay facility which will connect you to the huge range of internet radio stations like Spotify, Pandora and SiriusXM. 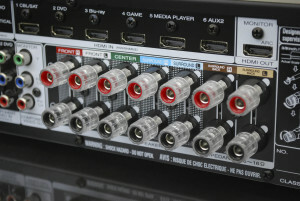 Along with this you will also have HDMI inputs to connect a huge variety of gadgets including camcorders and tablets. And of course will have connectivity with your android phone and television. 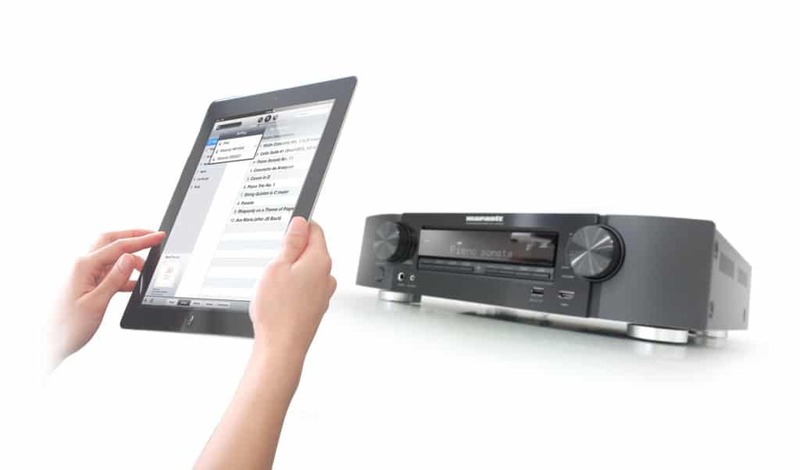 • Marantz has kept in mind its video features as well while developing the technical aspects of the receiver. You will be highly impressed by the 4K high definition video signals that you will get from the receiver. You will be able to use high definition projectors and monitors to stream video files as well. • The Audyssey MultEQ technology which is a part of this receiver will give you the ultimate sound quality with amazing acoustic features. Because of this you will get high definition audio quality in all the 7 channels of the receiver. Why is this receiver better than its competitors? Marantz has come up with a great AV receiver that will be tough competition to its contemporaries. 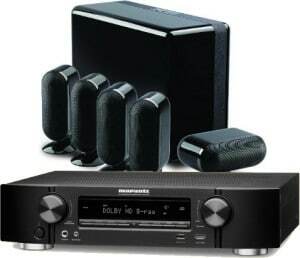 Along with the brand name Marantz NR1604 has highly advanced technical features that will make it a winner. Here are some of the reasons why you should choose this over its competitors. What is the cost of the receiver? Today when prices of the electronic gadgets are soaring in the market, Marantz has managed to keep a very reasonable and affordable price tag for this receiver. You will get this receiver for under $1000 at Amazon along with free shipping.